Local Search Results allows business owners to provide updated, accurate information to customers, including hours of operation, addresses, phone numbers, and even pictures and video. Unfortunately, many business owners try to set up and manage their own Business listings on more than 50 local search engines, apps, and mapping sites including Yahoo, Yelp, and Bing, only to find that this can be time-consuming and even confusing. At Link Right Media, we provide affordable Local Search Results to assist our clients. Our technology automatically adds listings and updates critical fields like name, address, phone number and website, across our network. Save time with one-click updates, change your information anytime and rest assured your business information will be accurate and up to date everywhere. 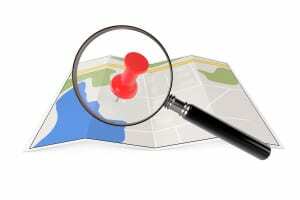 Much of what’s happening at your business location is not represented in your online listing. Add in-store business information like Product/Service Lists, Event Calendars, Staff Bios and Menus to your online listings to give your customers the information they need to choose you over the competition. Look awesome, keep customers informed, and drive more results from local search with Link Right Media.